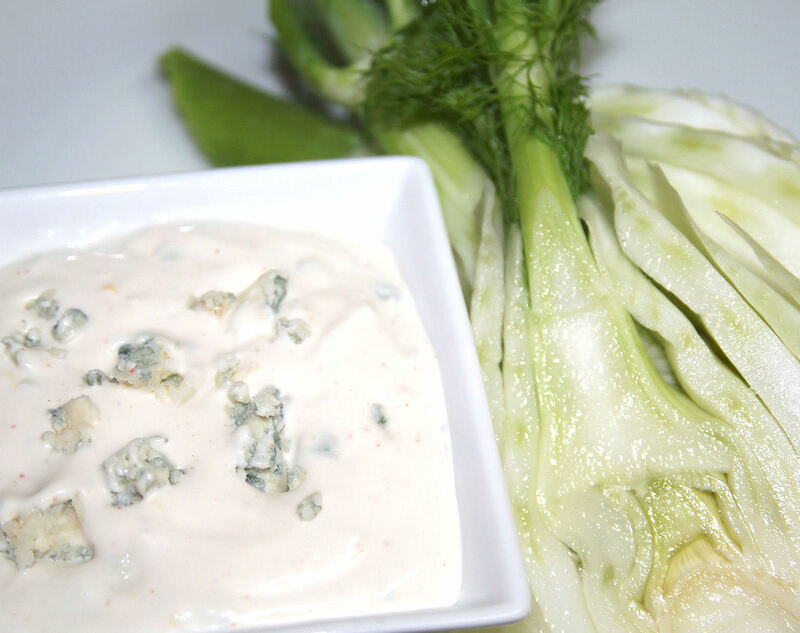 This Gorgonzola Dip is great served with chilled raw fennel slices, buffalo wings, chilled raw celery sticks, grissini breadsticks, and grilled chicken. Make it with either piquant Mountain Gorgonzola or creamy, sweet Gorgonzola Dolcelatte. Substituting other bleu cheese such as Roquefort, Maytag Blue, Bleu d' Avergne, Blue Stilton, Cabrales, and Danablu is equally delicious. This isn't a wimpy dip. With it's kick of garlic and cayenne pepper, it is worthy halftime entertainment of any sports event. Double or triple the amount for parties. Mix all ingredients together. Cover and refrigerate for a few hours or overnight before serving so the flavors blend. Taste before serving. Adjust garlic, lemon, salt, and cayenne pepper amounts as needed depending on what accompanies the dip. Any leftovers make a great spread for sandwiches.